after a rowdy heavy beginning of the week it’s time to pause and enjoy the thought that today at noon we would be halfway through this week and closer to the week-end! This is Acoustic Wednesday! To begin our new Wednesday’s of The Indie Rock Weekly Survivor Kit we have decided to go for a safe bet and give you Mr. Noel Gallagher in his acoustic Teenage Cancer Trust gig at the Royal Albert Hall in London of 2010. During that gig he played on acoustic guitar many of the Oasis’s tunes and offered the fans a couple of great covers. 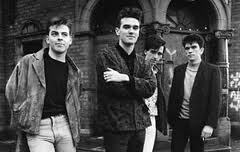 One of them was the Smiths anthem: There’s a light that never goes out. Without doubts one of the best indie songs ever written. Johnny Marr (The Smith’s guitarist) recently said that the Smiths invented indie rock. I’m not sure that the statement is true but they have been for sure one of the main contributors to the creation of our beloved genre together with Mr. Gallagher himself with Oasis. Watch out this year schedule of the charity gigs, Noel Gallagher is on charge of the line-up and it looks very very promising! Enjoy the song, the lyrics and the voice. DON’T FORGET!!! Tomorrow we will be in Lausanne for another mighty Liberation Night @ LIDO! ROCK IS ON! (if you want it! Ps. Little game: which other covers did Noel Gallagher perform during the gig?